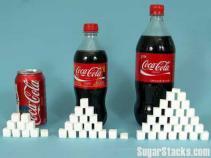 The average American eats about 22 teaspoons of added sugar every day. This adds up to over 70 pounds of sugar a year. Even worse, American teens are eating closer to 34 teaspoons a day. The result on our bodies is less than sweet. Eating too much sugar can lead to unhealthy weight gain, high blood pressure, heart disease, diabetes, and high cholesterol. Plus, eating lots of sugar makes you less likely to get all the vitamins and minerals you need in your diet. Children under 2 years of age = 0. 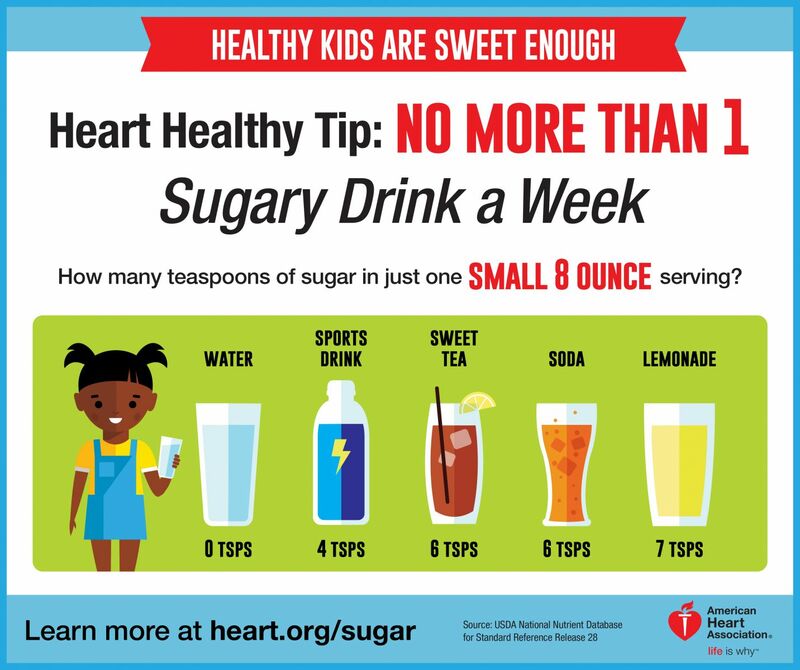 Experts advise that children under 2 years of age should not eat sugar sweetened foods or drinks. Just how much sugar is in that? 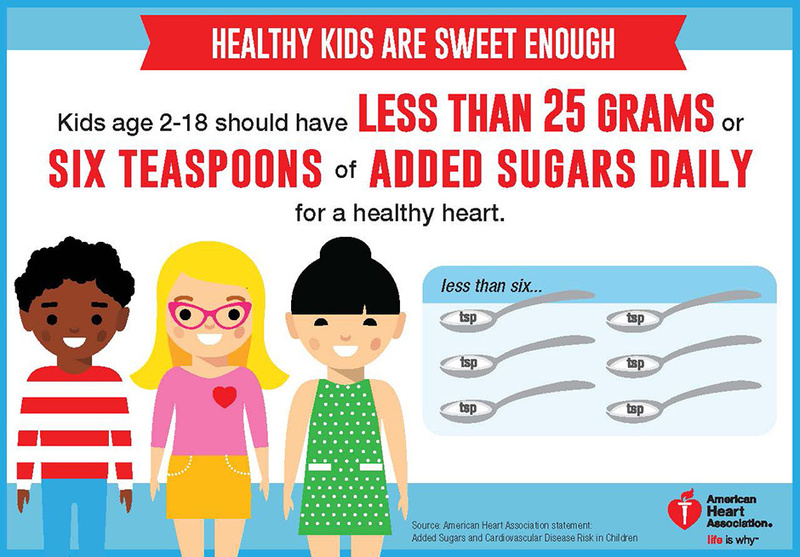 Many foods your family may not think of sweets contain lots of added sugar! Most packaged foods today contain added sugar. Foods like yogurts, cereals, granola bars, pasta sauces, salad dressings, and condiments are sneaky sources of sugar. Be sure to compare the sugar content on food labels to help your family make the best choice. Fruit, vegetables, and dairy naturally have some sugars in them. The sugars in fruits and vegetables don’t make them unhealthy because their fiber prevents them from causing a quick rise in your blood sugar. “Added sugar” is the sugar food companies add to the food. When foods like yogurt have both naturally occurring and added sugar, it can be hard to tell how much of the sugar is added. Some companies are adding a line to Nutrition Facts label that lists the amount of added sugar under the total sugar amount. However, this isn’t mandatory yet. Read the ingredients to look for sugar. Use the spy on sugar list below to help you! If you see one of sugar’s many names in the first three ingredients, it’s probably not a healthy choice. You can compare foods of the same type by looking at the sugar content in the Nutrition Facts label. Sports drink ads make it look like athletes should drink them by the gallon. The reality is sports drinks are high in calories and sugar. Water, and not sports drinks, should be the main source of hydration for children after sports. 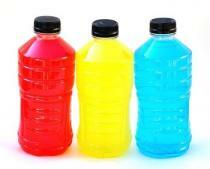 When sports drinks are used, pay attention to how many servings are in the bottle. Sports drinks are available in 64 oz bottles. That’s 8 servings! Large amounts of 100% fruit juice can lead to excessive weight gain in children. They can cause diarrhea and tooth decay. Eating fruit is much healthier than drinking juice. Children do not need to drink juice. Children 7 to 18 years old should have no more than 8 to 12 oz (1 to 2 cups) of juice per day. What are healthy drinks for children? Children should be encouraged to drink water. Putting it in a fun cup or thermos and adding a slice of fruit can make it more appealing. Flavored seltzer is a healthy alternative to soda. Low-fat milk is a good source of calcium. Watch this video to see what is really in your drink.